At around 3pm on Thursday, FIFA officials will announce the successful bid for the 2018 World Cup. Will England be successful? Join hundreds of other fans at The Scoop, next to City Hall, on Thursday 2 December to watch that Big Decision live on a big screen. The event will start at 2.30pm, with the result expected after 3pm It is free to attend, but due to capacity in The Scoop entry will be on a first come first served basis. As well as the public screening of the decision live from Zurich, the afternoon will feature a demonstration of freestyle soccer, beat boxers and DJs, street dancers, and other sports-related entertainment. 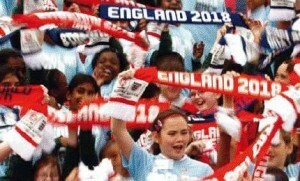 The event will also highlight the role London has played as one of the 12 prospective host cities for the tournament, should England win. The event is backed by the Mayor and Visit London.